Under the leadership of former Sydney Kings pro player Leon Trimingham, Athletes Without Limits has launched a Houston-based basketball team for high-performance athletes with intellectual disability. Tryouts were held at The University of Houston this past March for both Men’s and Women’s Teams and nearly 20 players have been chosen to represent USA at upcoming international events. The athletes recently underwent the rigorous Inas/Paralympic Eligibility process and are currently training for the 2015 Inas Global Games World Championships. This will be the first time a US Team will participate in Basketball at the Global Games and marks the ninth sport in which Athletes Without Limits is now active. Other sports include Athletics (Track & Field), Cycling, Rowing, Swimming, Table Tennis, Taekwondo, and Tennis. With so many players and staff traveling, the team will need financial support in order to be able make the trip to Ecuador this September. 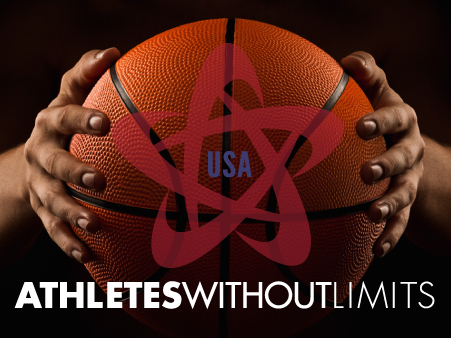 Athletes Without Limits covers a portion of event expenses but there are still out of pocket costs for the players, who will be holding Houston-Area fundraising events leading up the event.